Where do the Bears now sit relative to the cap? How much money do they have to work with? How much can they create with cuts? What players of their own do they have to re-sign before looking for improvements elsewhere? I know the salary cap can be confusing, so I try to break it down step-by-step as much as possible here. If you’re not interested in the specifics, you can just jump to the end for general numbers. 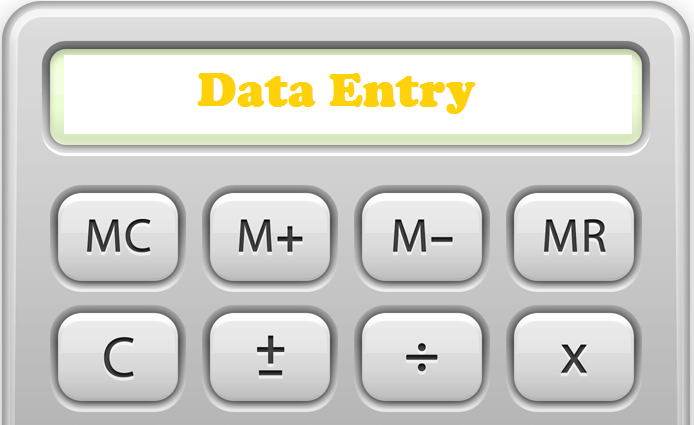 All salary data comes courtesy of Spotrac. 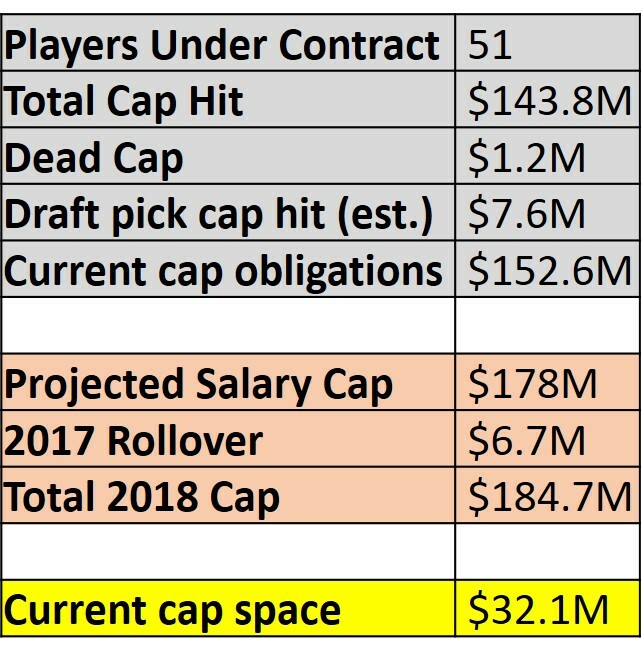 The table below shows the Bears’ current cap situation. Every line is important for the math, but the bottom line, highlighted in yellow, tells you they have roughly $32.1 million to spend after accounting for the likely contracts of their upcoming draft picks. If you care where that number comes from, I’ll explain below the table. If not, just keep that $32.1 million in mind and jump to the next section. The gray areas up top are the current cap expenses the Bears have. Their 51 players under contract have a combined cap hit of $143.8 million. They have $1.2 million in dead cap (money previously paid to cut players that didn’t count under previous caps). Their draft picks are estimated to use up $7.6 million of cap space. This all adds up to $152.6 million. Those numbers are broken down on a player by player basis here. The orange areas in the middle show the total cap the Bears have to work with. The salary cap for the NFL is projected to be around $178 million, and they get to add the $6.7 million in cap space from 2017 that they didn’t use. That means the Bears can spend up to $184 million in 2018 cap, leaving them $32.1 million in space. So as things currently stand, the Bears have about $32.1 million to work with (though you typically want about $10M in wiggle room entering training camp). Now it will be helpful to understand who they currently have on the roster, so you can start to figure out what positions need to be addressed with the money they have to spend. 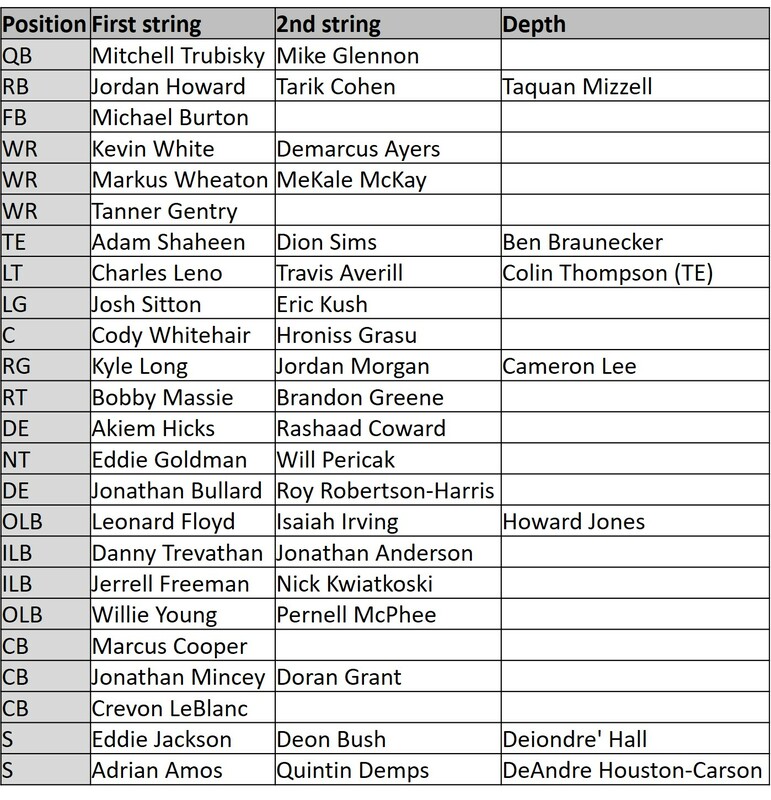 Thus I’ve put all 51 players in a rough depth chart below. They really have nothing under contract at either WR or CB. There’s not a single player at either of those positions who should be starting, and just not many bodies period. The starters everywhere else are more or less what they were last year. The Bears don’t have a ton of key free agents. There are a bunch of guys on here who are overpaid relative to their spot on the depth chart. Let’s look at what the Bears can do about that. There are a number of expensive veterans on the Bears roster who have not earned the large contracts they signed. Cutting them could free up a good amount of cap room, though it’s worth noting that would also create holes on the roster that need to be filled. I’ve identified nine players who could free up significant cap space if they were cut this offseason. They’re shown in the table below, along with the room they’ll clear if they are released. 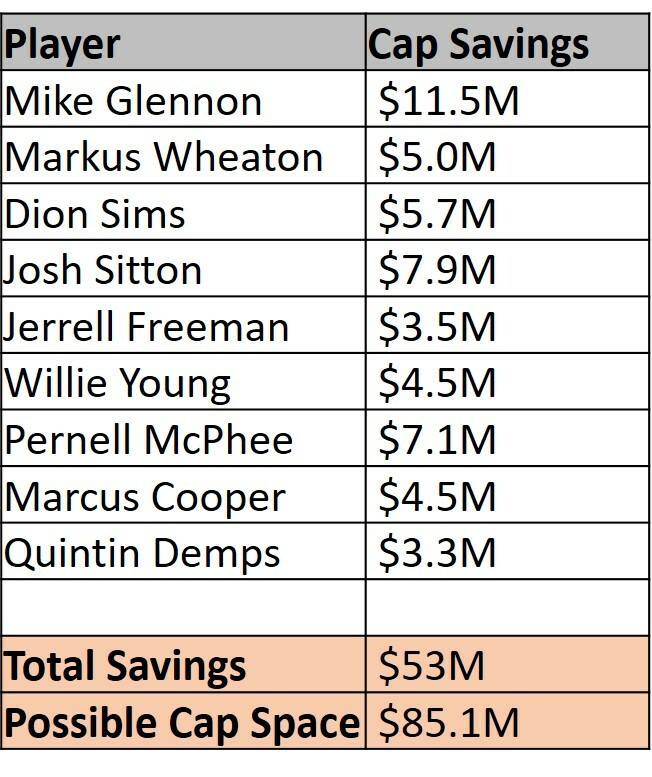 I don’t know if general manager Ryan Pace will move on from all 9 of these players, but the Bears could have up to $85.1 million to spend-after accounting for draft picks – if he does. Regardless of how many of them get cut, the Bears will open up more room to work than they currently have. Now let’s shift gears to look at players who were with the Bears in 2017 but are currently not under contract. The Bears have a time in which they can re-sign these players before the rest of the league has a chance to get them, but that will eat into the money they have to bring in outside help. We’ll start with restricted free agents, which are players who the Bears can give a small 1-year tender to (not guaranteed, so the player can be cut with no cap penalty). The Bears have four such players, all of whom were undrafted, which keeps their costs down. They are shown in the table below. If the Bears give these players the tender amounts indicated above, other teams can make them an offer, but the Bears have the right to match it and the player has to stay in Chicago. If the Bears are worried about losing a player, they can give them a 2nd round tender, which means any other team has to both give them a contract the Bears won’t match and give the Bears a 2nd round pick. This is a more expensive option ($2.75M last year), but seems likely to me for Cameron Meredith. They might do the same for Bryce Callahan, though I don’t know if they’re that attached to him. The other two seem likely to get these small tenders and compete for roster spots in training camp. Now finally we get to unrestricted free agents, which are players the Bears have no special control over besides having the ability to re-sign them before free agency officially starts. The Bears have 19 of these players (full list here), but the notable ones are listed below. I also gave their age and 2017 cap hits, which can be a general baseline for their 2018 cap hits for guys who aren’t coming off their rookie deals (so not Kyle Fuller, Cairo Santos, or Pat O’Donnell). I’m not going to get too much into projected contracts now, but I did already take an in-depth look at what Kyle Fuller’s deal might look like if he re-signs with the Bears. These are all players who had a meaningful role with the Bears last year, and I’m sure that some of them will be back in 2018 as well. So that’s where things stand right now. The Bears currently have around $32 million in cap room after accounting for their draft picks, with a roster that is particularly lacking in CB and WR under contract. They could create up to about $85M in room with 9 cuts, and have 4 restricted free agents and 19 unrestricted free agents to think about re-signing before free agency starts. I’ll let you play around with hypothetical moves and their cap implications from there, and will even tell you that Spotrac has a fun program set up where you can do just that fairly easily. 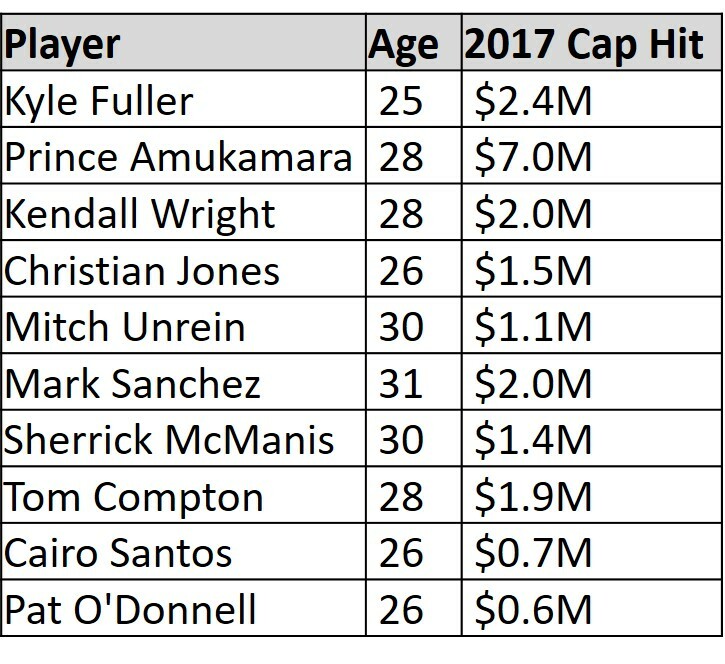 In one hypothetical, let’s say the Bears make all 9 cuts listed above, sign Meredith to a 2nd round tender, sign the other restricted free agents to unprotected tenders, and re-sign all of the free agents listed above for their 2017 cap hits (save Fuller, who we’ll project at $12 million, and Santos and O’Donnell for about $2M each). That would leave the Bears with most of their 2017 team intact, but somewhere around $45-50 million in cap space and all of their draft picks to improve the team. I think this is a fairly realistic scenario, though I’m sure Ryan Pace won’t make exactly those moves for exactly that money. At this point, the exact dollars aren’t that important, but a general idea of where the Bears stand is. Even leaving about $10 million for in-season moves, they will end up with plenty of money to spend in free agency.